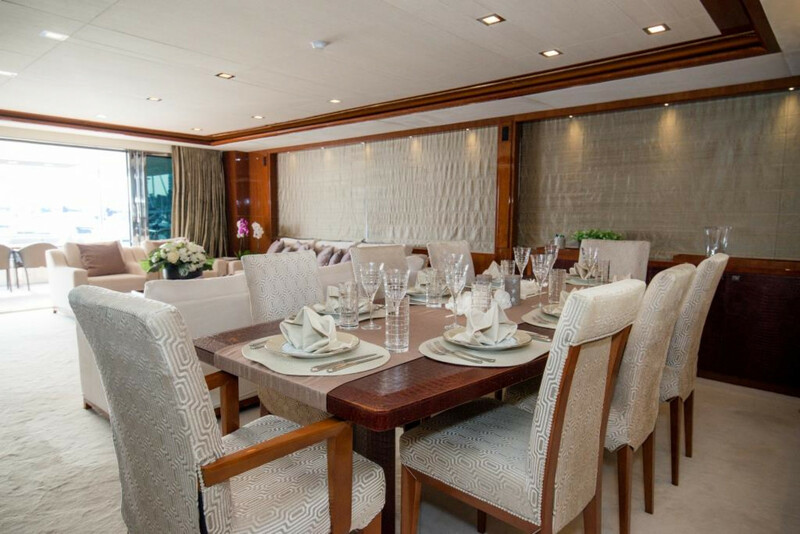 This superb and spacious yacht was built by the famous English shipyard Princess in 2012 for her current and only owners. 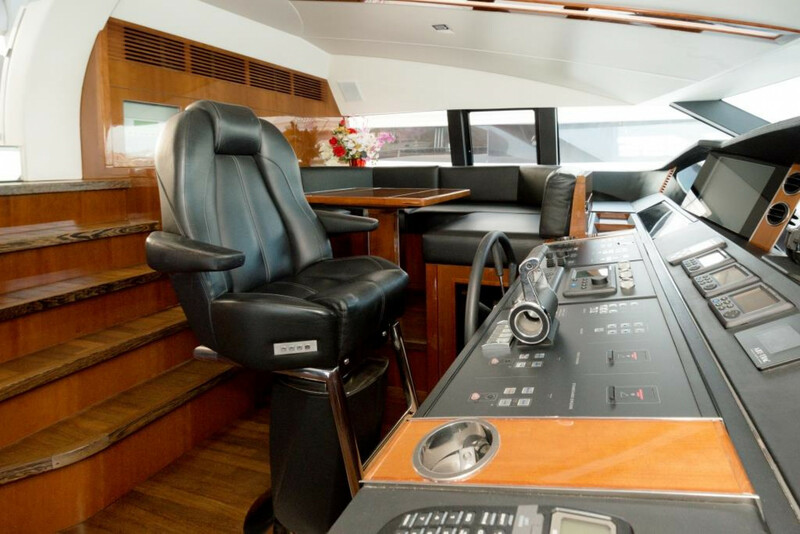 Never chartered and always well looked after by the same captain since her construction, this stylish Motor Yacht is presented in true immaculate condition. 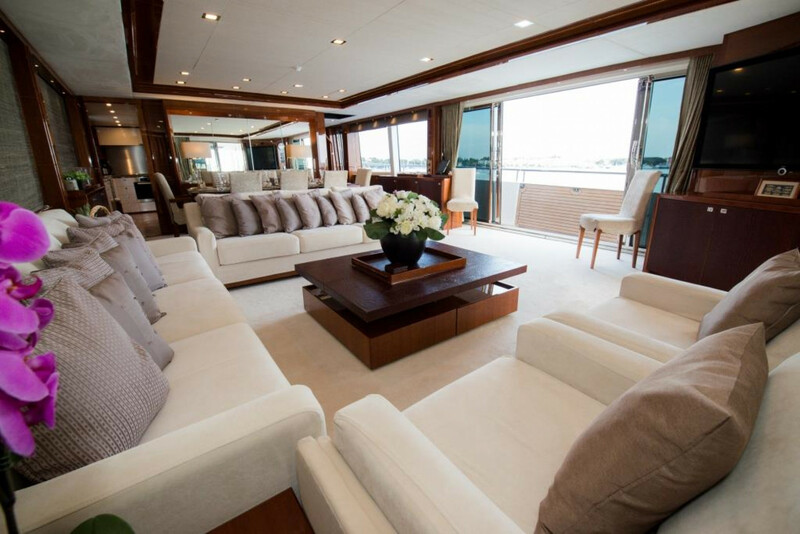 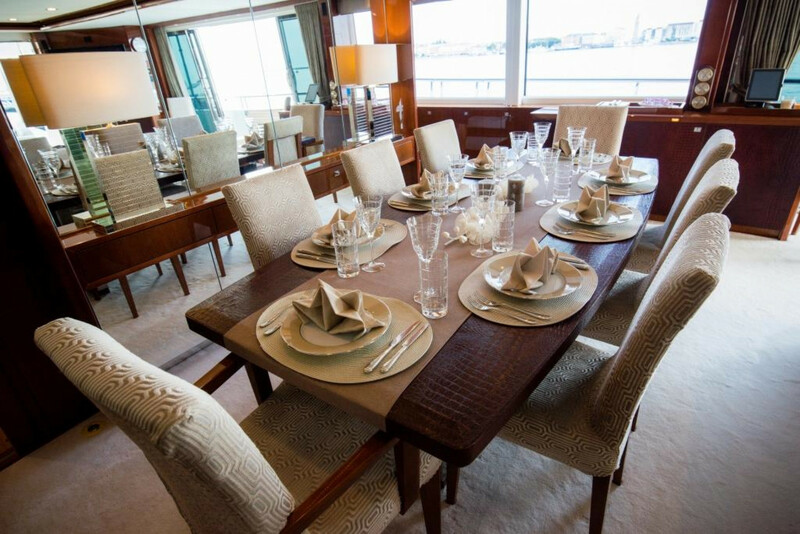 She offers great interior volumes, elegant lines, luxurious and modern equipment and long-range cruising capability. 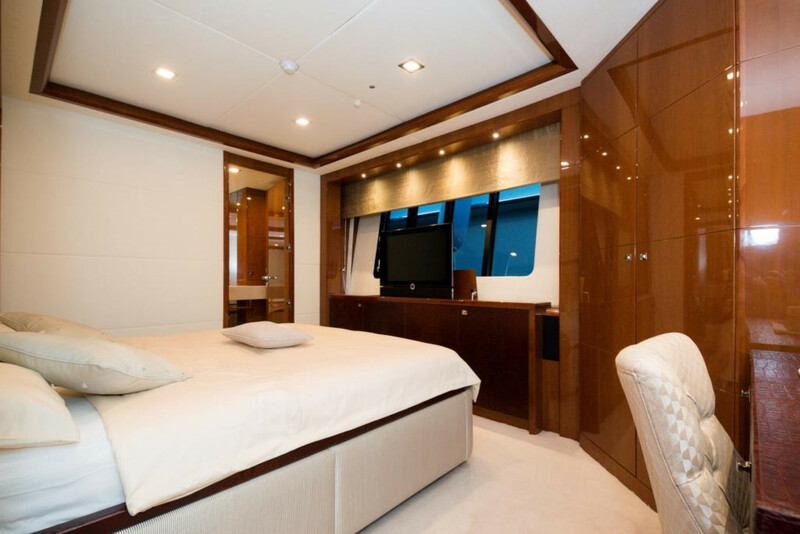 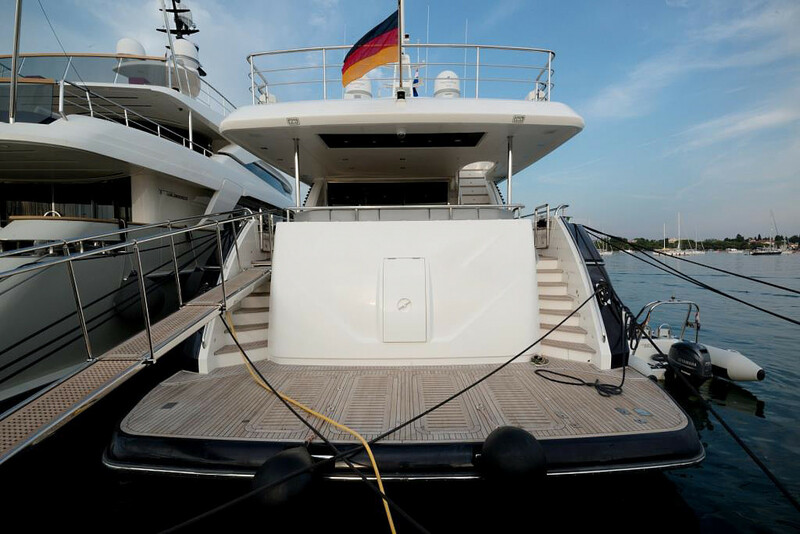 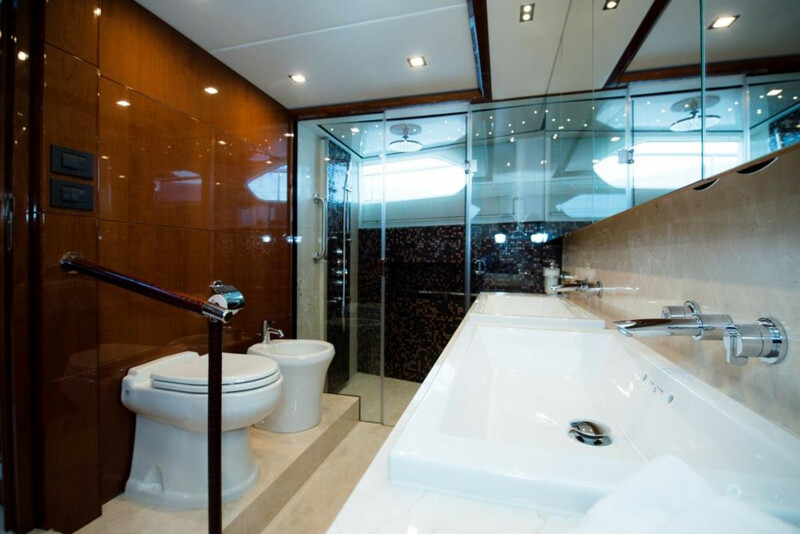 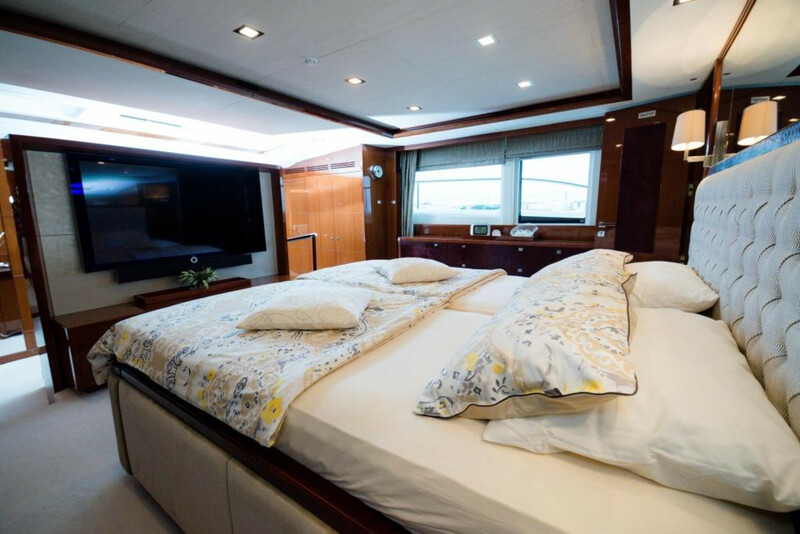 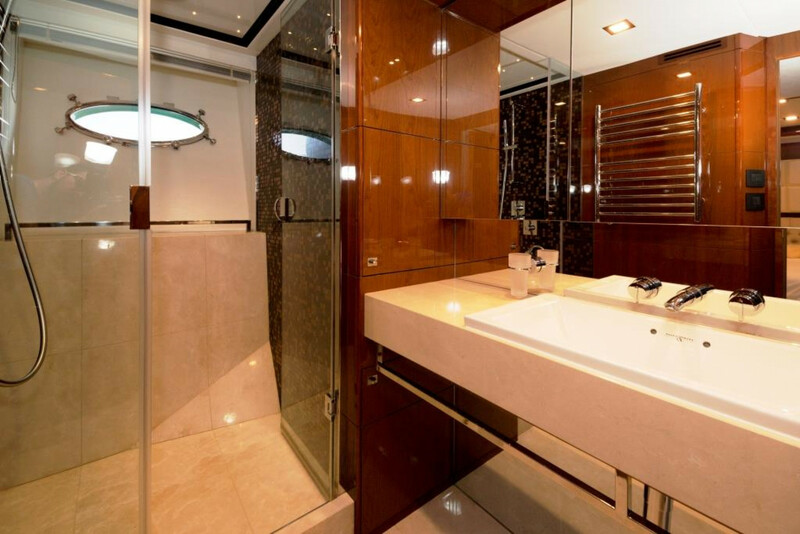 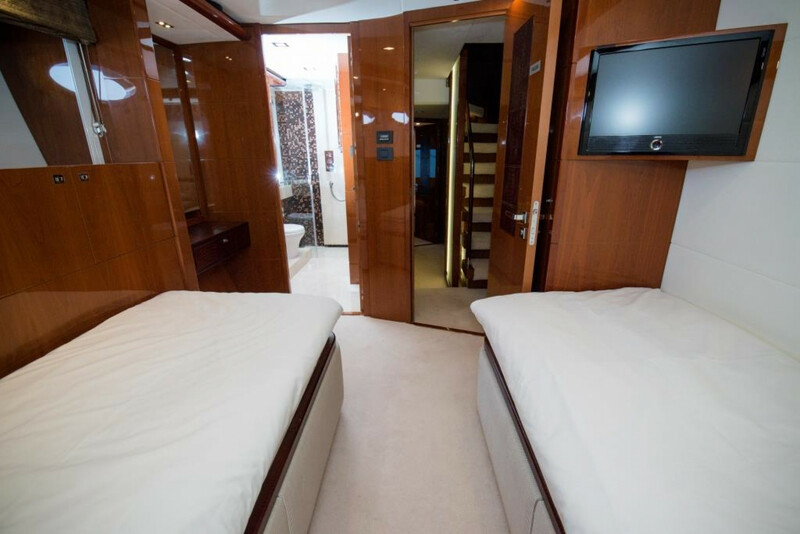 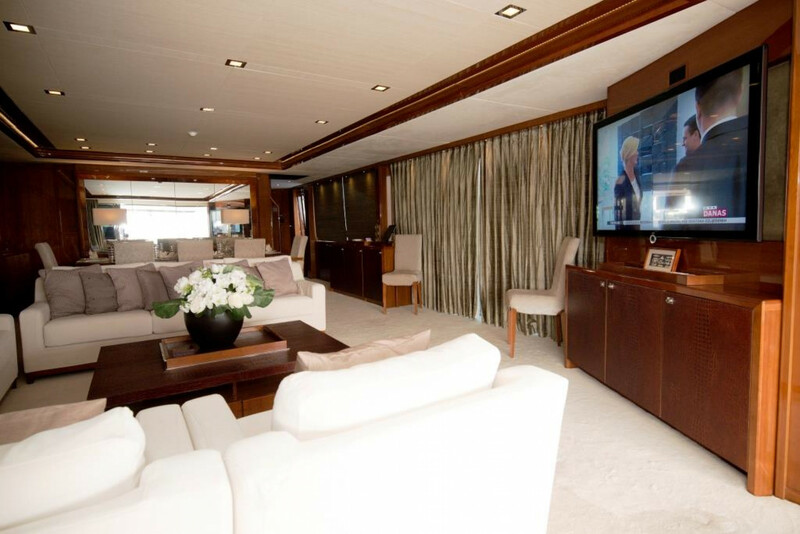 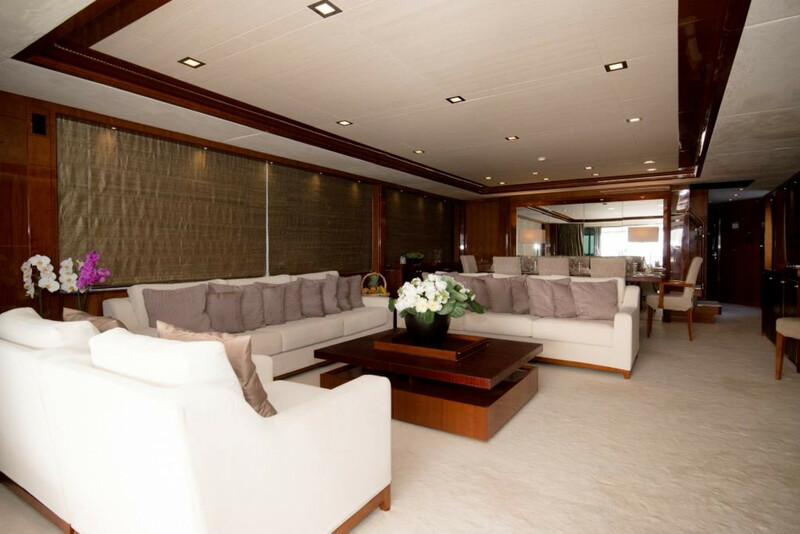 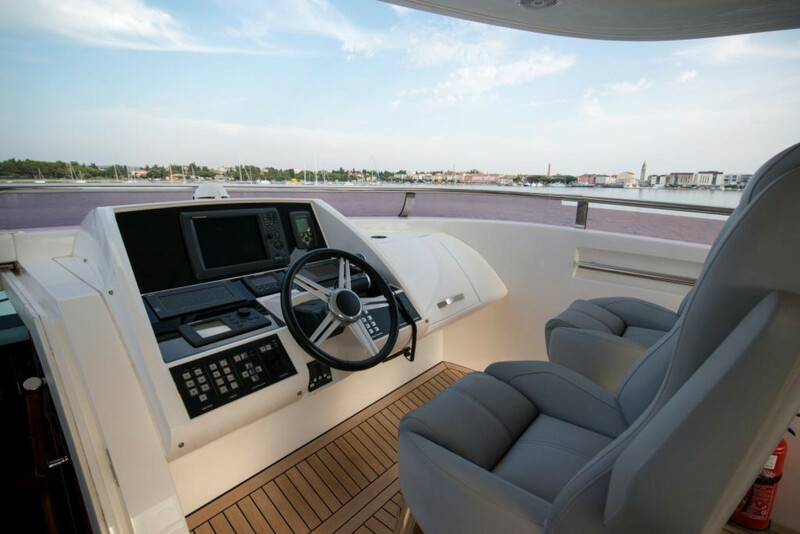 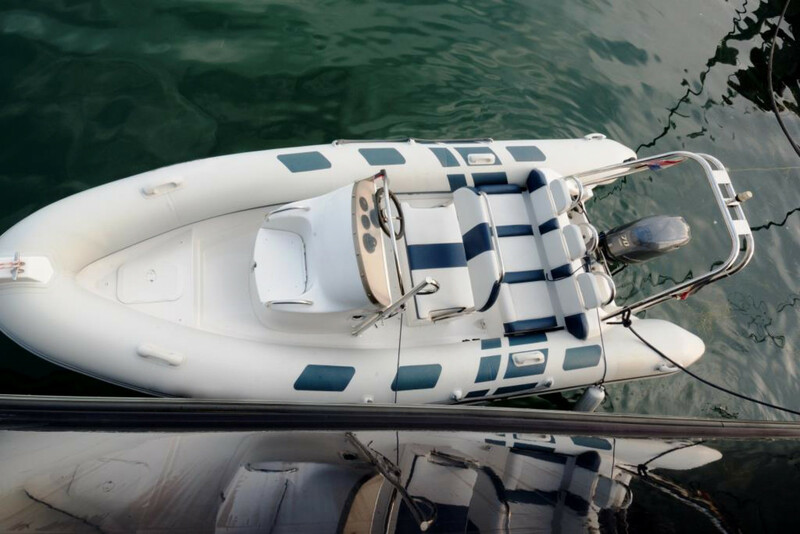 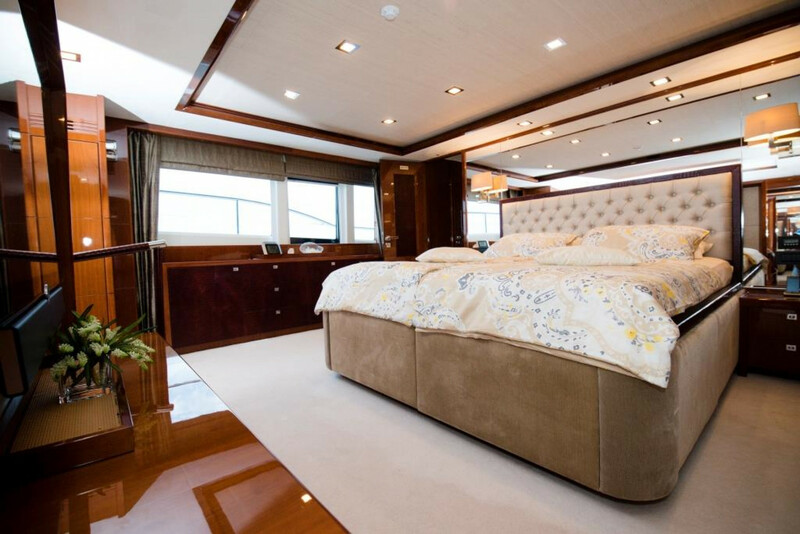 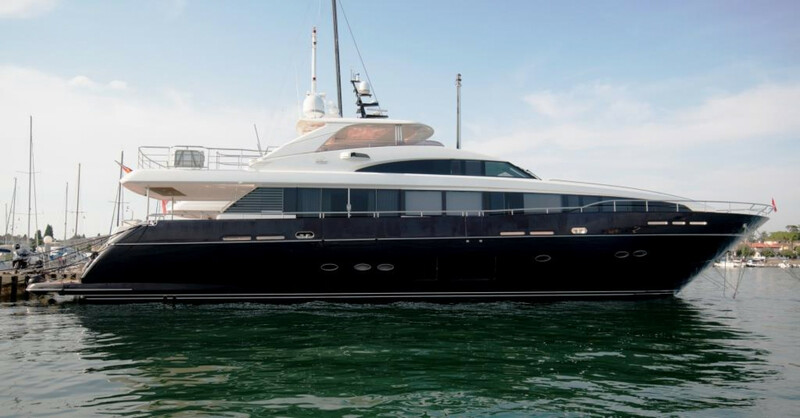 This 32 m vessel is one of the most advanced models currently on the market. 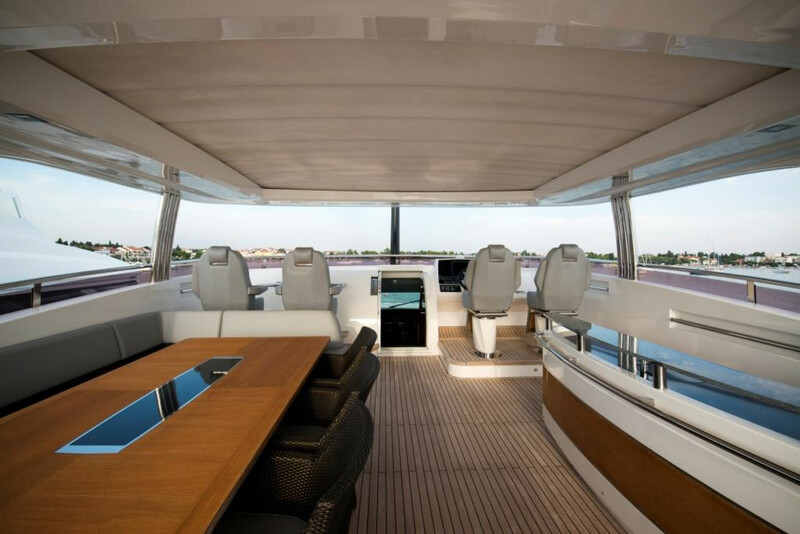 Her sleek profile wears a contemporary edge, underlining that this beautiful unit is at the forefront of modern motor yacht design. 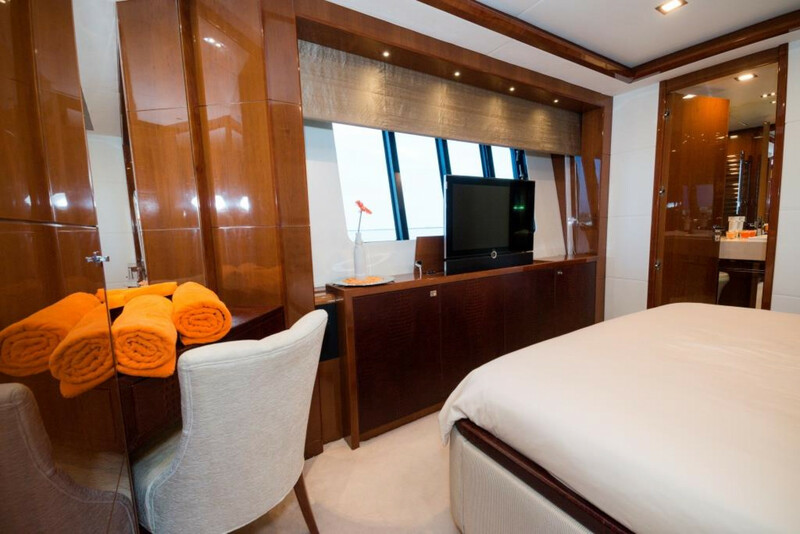 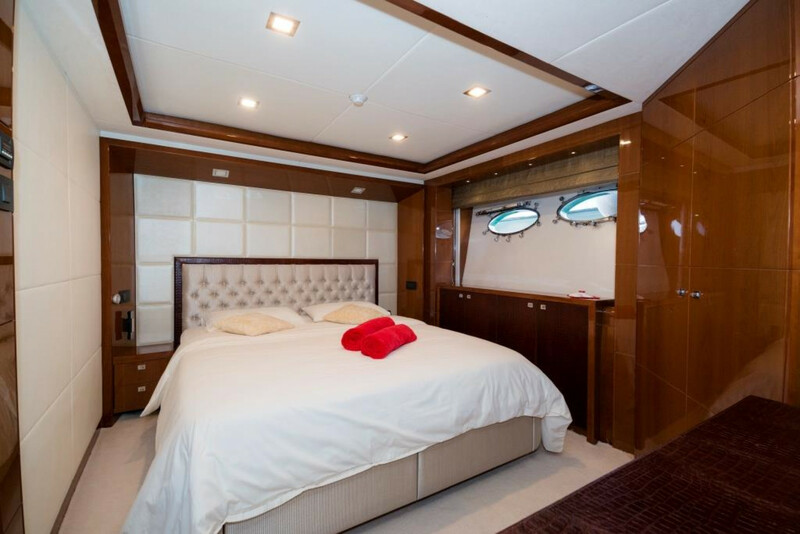 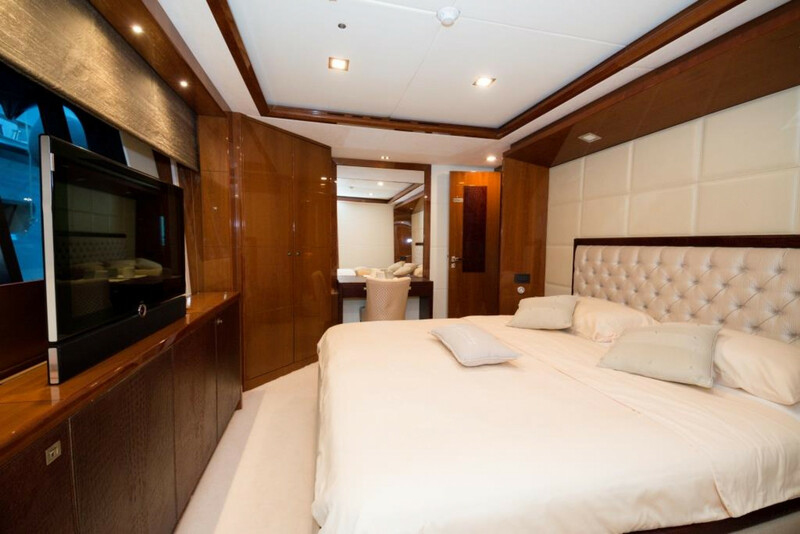 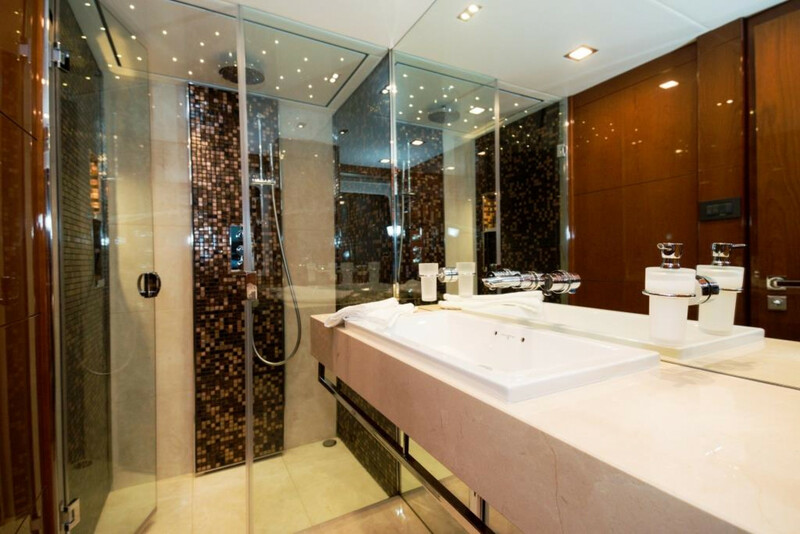 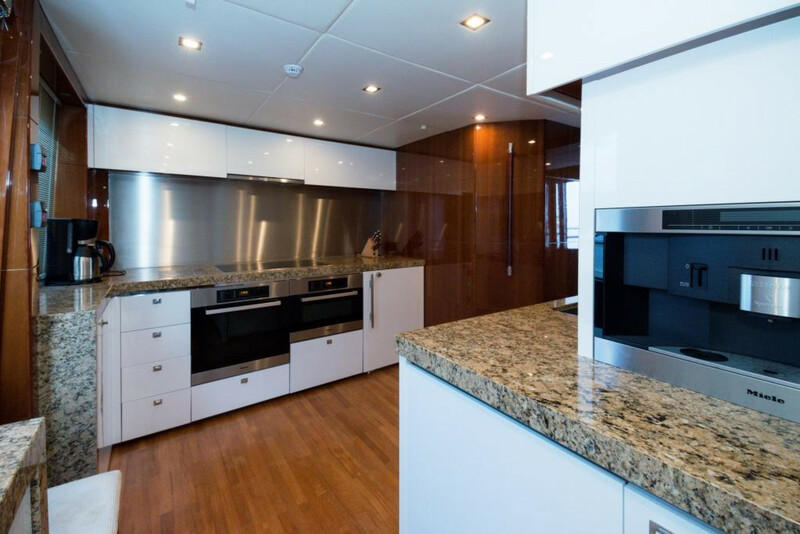 She can accommodate 10 guests in her 5 luxury cabins layout which features a Master stateroom on the main deck, 3 Double cabins and 1 Twin on the lower deck. 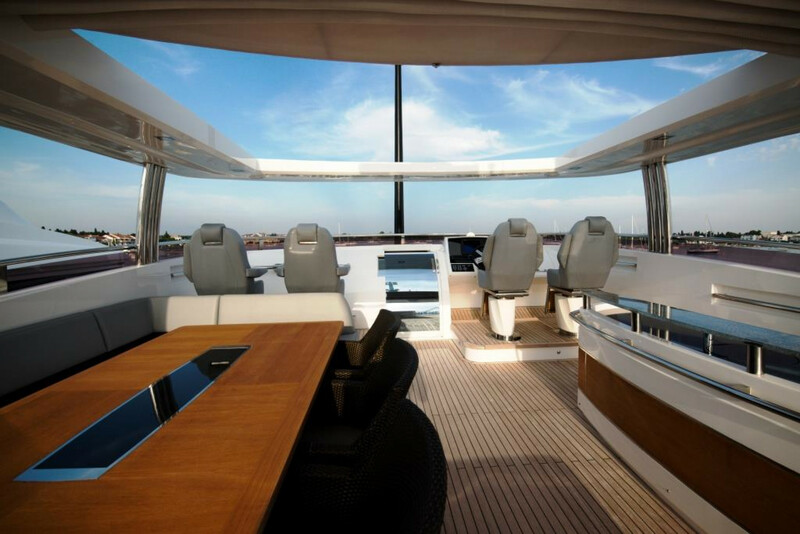 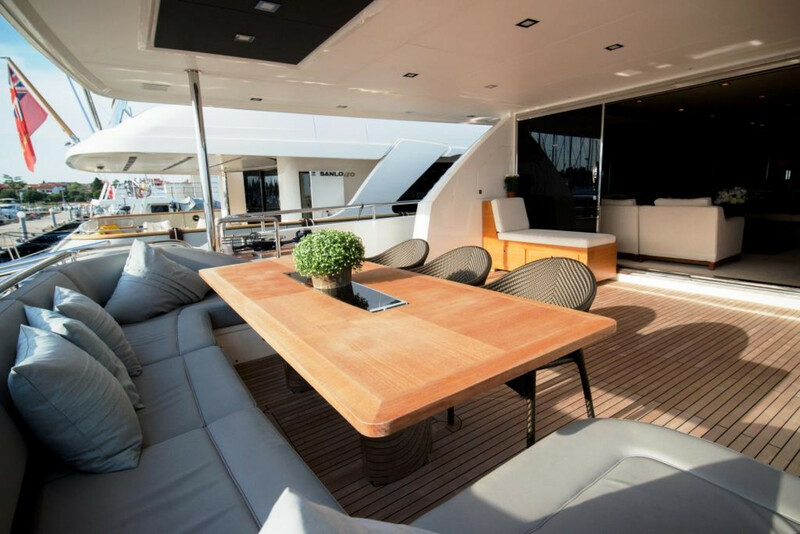 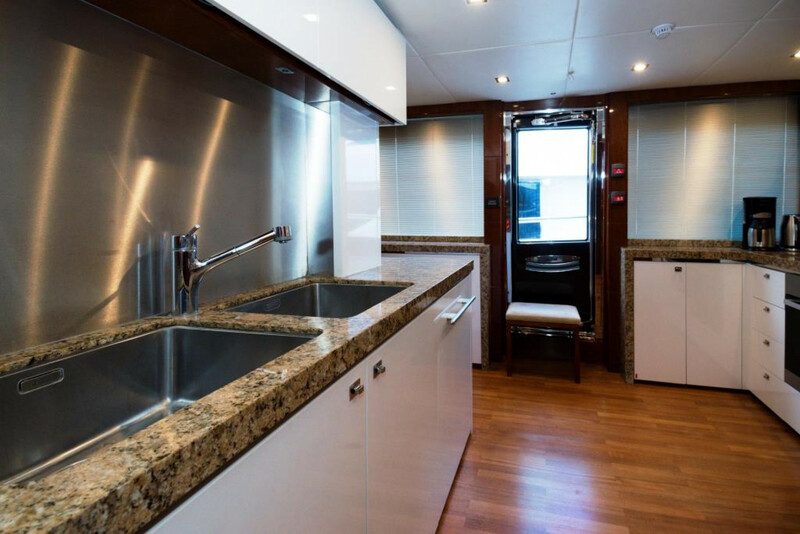 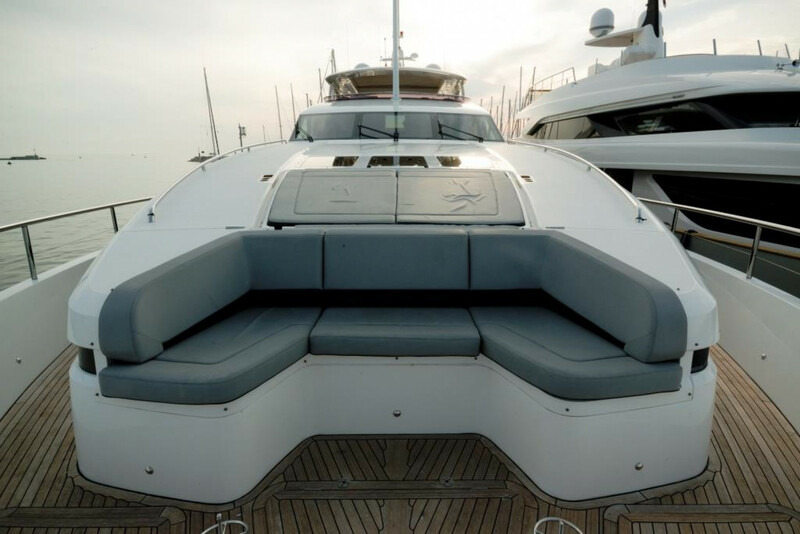 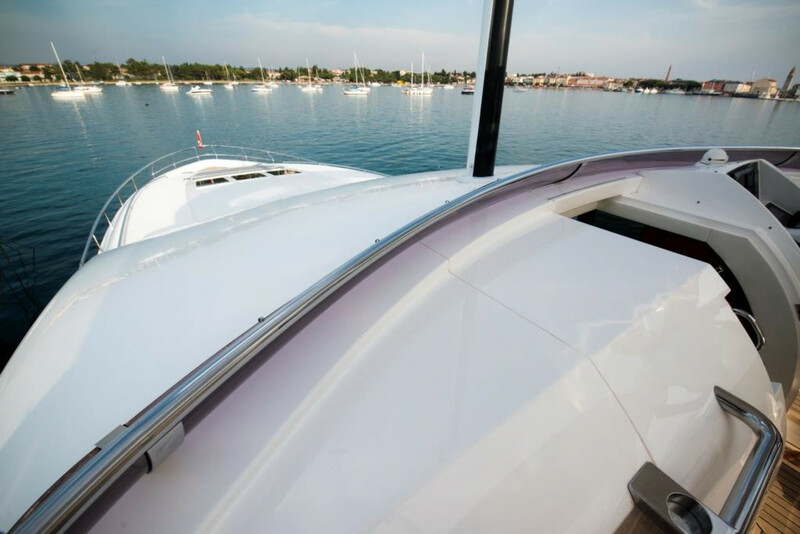 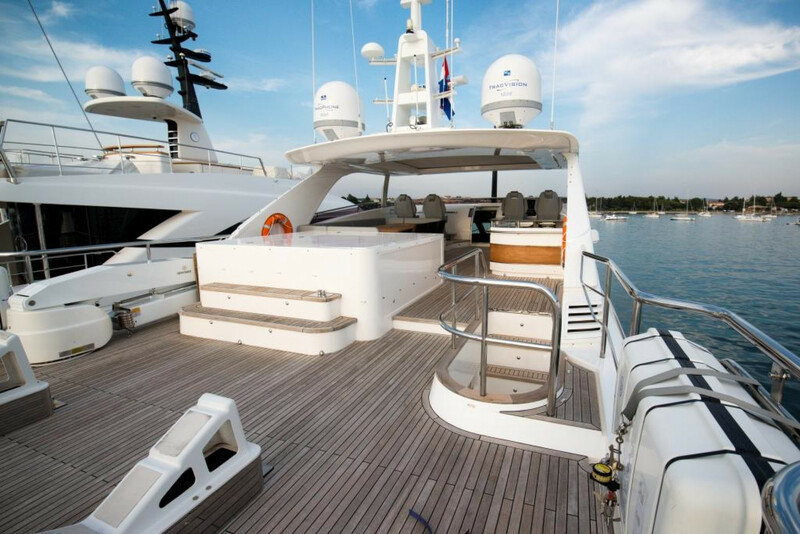 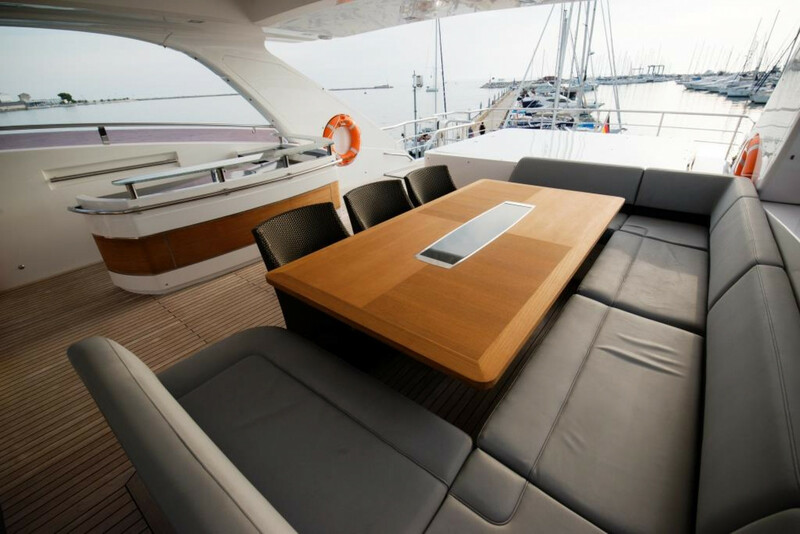 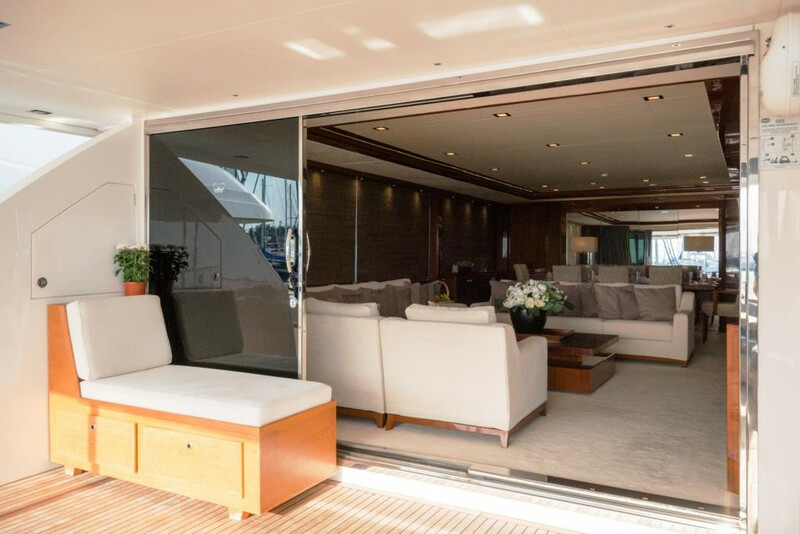 Her Sundeck offers a great sunbathing space, a Jacuzzi and a cozy dining area in the shade of the hard top.